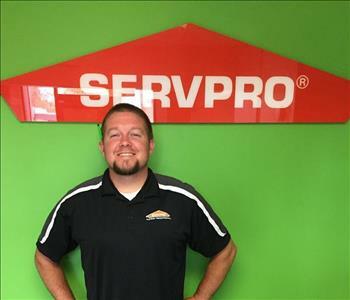 Jason is the Owner of SERVPRO of Southwest Jefferson County. He has the following certifications from the Institute of Inspection Cleaning and Restoration Certification (IICRC): Water Removal Technician, Applied Structural Drying Technician, Water Damage Restoration, Carpet and Upholstery cleaning, Fire & Smoke Restoration and Odor Control. 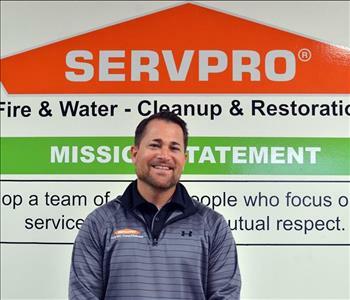 When Jason is not working at SERVPRO, he enjoys camping with his wife and children when they are not participating in sporting events. Our staff is highly trained in property damage restoration. 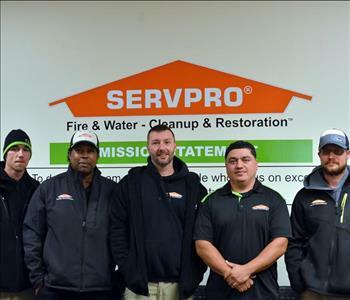 From initial and ongoing training at SERVPRO’s Corporate Training Facility to regular IICRC industry certifications, rest assured our staff is equipped with the knowledge to restore your property. We have a live person answering our phones 24/7/365 and our certified technicians are ready to help whenever you need us! Contact our team at 502-244-7986 if you need any cleanup and restoration services. 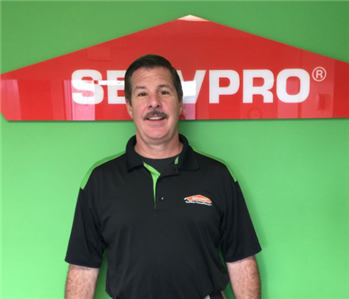 Tim is the Operations Manager for SERVPRO of Southwest Jefferson County and has over 7 years of experience in the industry. He has the following certifications from the Institute of Inspection Cleaning and Restoration Certification (IICRC): Water Removal Technician, Applied Structural Drying Technician, Water Damage Restoration, Carpet and Upholstery cleaning, Fire & Smoke Restoration and Odor Control. When Tim is not working at SERVPRO, he enjoys backpacking with his children. 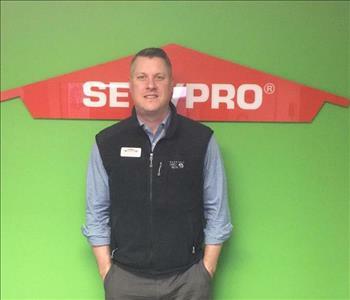 Derek is the Production manager of SERVPRO of Southwest Jefferson County and has over 9 years of experience in the industry. He has the following certifications from the Institute of Inspection Cleaning and Restoration Certification (IICRC): Water Removal Technician, Applied Structural Drying Technician, Water Damage Restoration, and Odor Control. When Derek is not working at SERVPRO, he is a professional bass fishermen and hanging with his family. 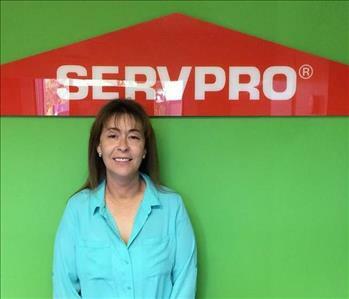 Rhonda is the Office Manager for SERVPRO of Southwest Jefferson County and has been with SERVPRO for over 8 years. 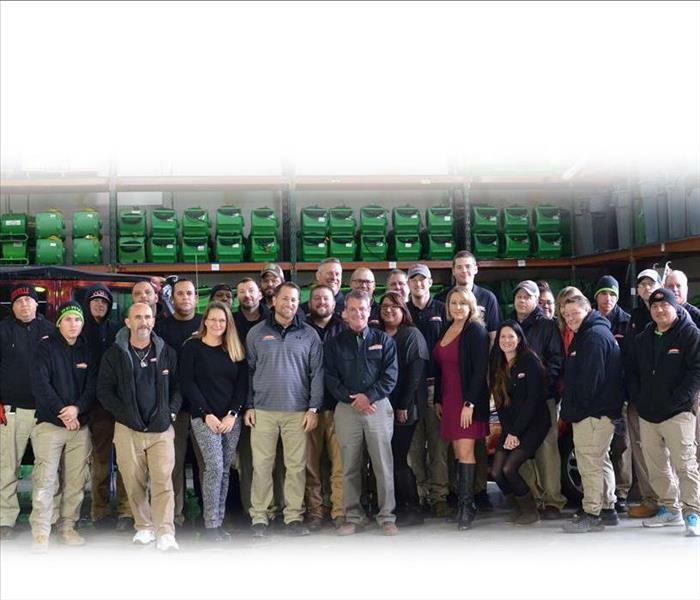 Prior to working for SERVPRO, Rhonda was the Office Manager for a multi-office law firm and an independent bankruptcy consultant for 15 years. Rhonda enjoys spending time with her family, traveling, and cheering on her two high school sons in their various varsity athletic competitions. 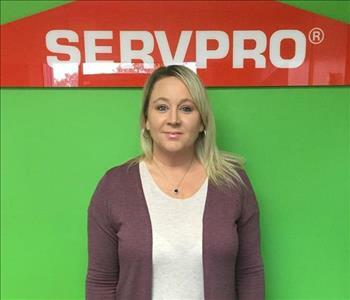 Kymberly Mahoney is Administrative Assistant for SERVPRO of Southwest Jefferson County, prior to working for SERVPRO Kym was a Warranty Administrator for General Motors for 10yrs. 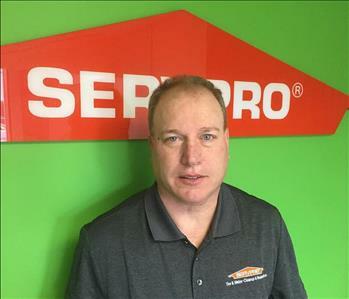 David Sheehan is the Business Development Manager at SERVPRO of Southwest Jefferson County. David is a graduate of Trinity High School and the University of Louisville. He has over 15 years of experience in marketing and customer service. His true passion is helping others in their time of need. Clients enjoy working with David because of his genuine ability to help them plan for unforeseen circumstances. He understands the stress that is associated with life's little catastrophes, and enjoys making sure that his clients have an emergency plan in place to offset that stress. 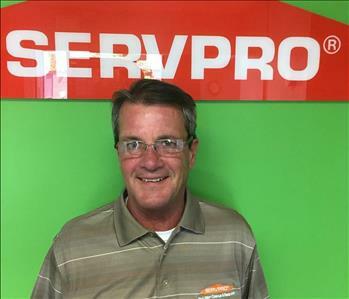 Randy Barnett is a Business Development Representative with SERVPRO of Southwest Jefferson County. Randy has over 25 years of Insurance experience that he brings to the restoration industry. Randy is a member of the Jeffersontown Chamber of Commerce. Randy enjoys meeting new people and helping people in time of need. 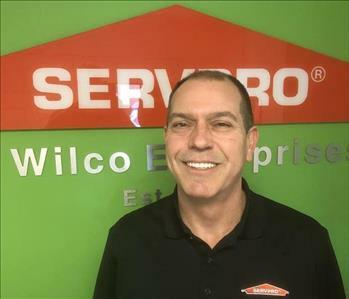 Steve Mooser is a Business Development Representative for SERVPRO of Southwest Jefferson County. Steve has a total of ten years experience in the restoration industry. Steve is very active in the St. Matthews area, being voted the number 1 volunteer for the St. Matthews Chamber in 2015. For those in the St. Matthews community who have not had the privilege to meet Steve in person, be patient, I'm sure he will stop by for a visit at your workplace in the very near future. 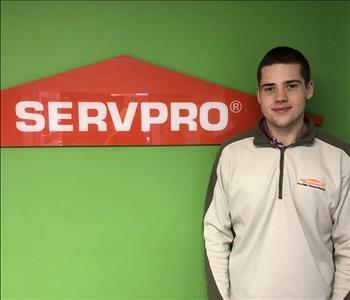 Samuel Blythe is a Business Development Representative for SERVPRO. Sam is a graduate of Grossmont high school in San Diego, CA. While living in Louisville he did pest control services and sales for Black Diamond Pest Control. 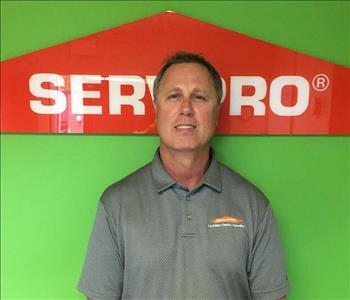 He is responsible for marketing for our franchise SERVPRO of South Louisville. 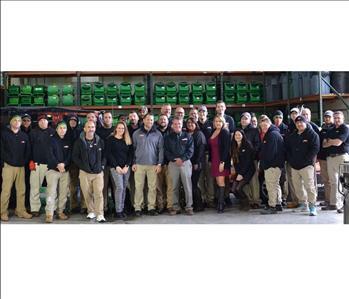 He is excited to spread knowledge of the amazing work SERVPRO does.